It may sound strange, but I've been reviewing audio for about 5 years now and I've never had a valve amp in my system. I've heard them at shows, of course, and even liked most of them, but I've never really been tempted to try one at home. 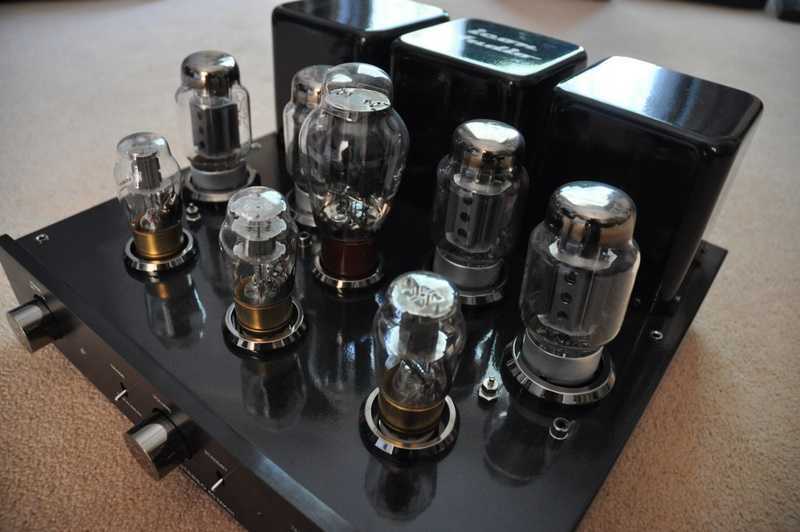 Partly this is simple prejudice: valve amps weren't really popular when I was younger, and we used to make jokes like: 'the only audible difference between a transistor amp and a valve amp is when you drop them'. We thought we were very clever. I also thought I knew what to expect from valve amps: no power, cuddly warmth, uncontrolled softness in the bass and a friendly top end. But I was wrong. The first time I realised that valve amps could actually sound more exciting than transistor amps was when I visited Definitive Audio. The amps in question were the amazingly expensive Kondo valve amps, so you would expect to be impressed, but I was surprised too. This sounded more dynamic and direct than any transistor amp I'd ever heard, and not anything like I expected them to sound at all. I just had to find out more. 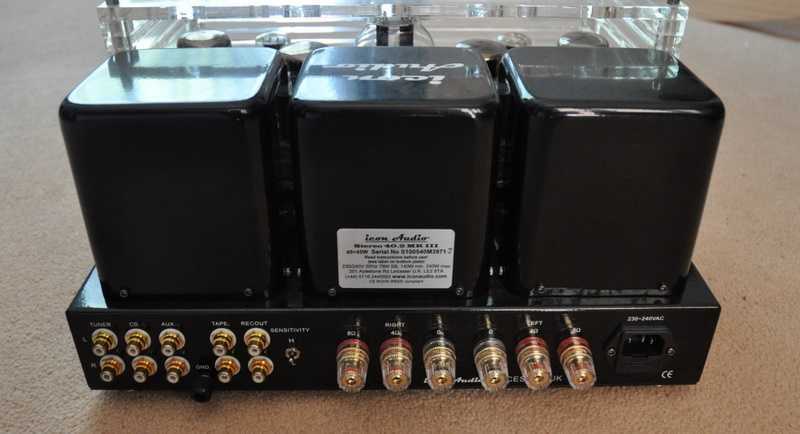 When I started to investigate valve amps in general, I kept finding enthusiastic stories about the famous Leak Stereo 20. It seems many people think this is still one of the best amps ever made. I have meanwhile heard one, and was indeed quite impressed, but the problem with the Leak is that it hasn't been in production for about 50 years now! So, I started looking for a modern equivalent, and that's how I ended up with Icon Audio. They actually still make an amp that is called the 'Stereo 20', but they recommended I try the Stereo 40 instead. It is one of their most popular models and a good place to start, according to David Shaw, the owner and chief designer of Icon Audio. The Stereo 40 mk3 is an integrated amp that actually even features remote control. The height of luxury, as far as I'm concerned. The amp itself is a push-pull design using either EL34 or KT88 valves. When I asked David if it was fully class A I got a complicated answer that I think I can summarise as 'yes'. In accordance with its name it delivers 40 watts and has separate speaker terminals for 8 ohm and 4 ohm speakers, like most valve amps. There's a perspex cage provided to protect the valves from your children and the other way around, which is good in my opinion. When switched on, the amp goes through a 30 seconds startup sequence to protect the precious valves. Even the volume control turns itself all the way down, and then partly up again, during this procedure. In use the amp will become quite hot, and leaving it on all the time is seriously not recommended, but it does feature a standby mode. 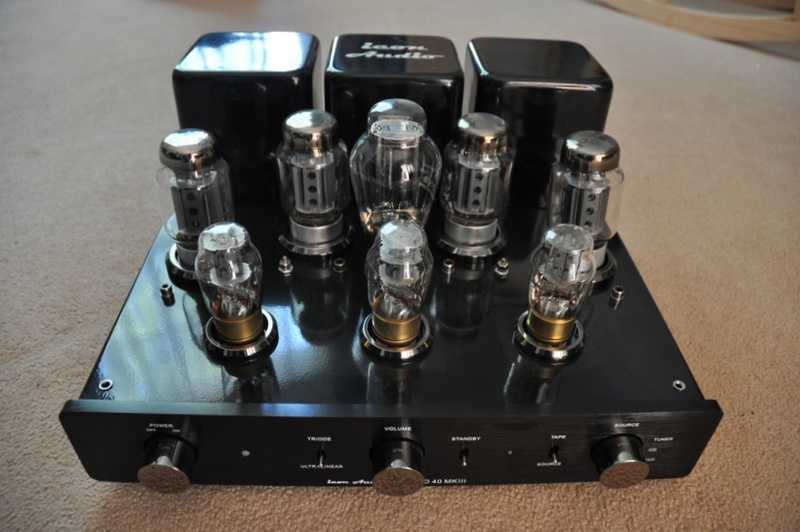 The review sample wasn't the standard, vanilla Stereo 40, but a version that used better capacitors, copper foil paper in oil ones from Jensen, and the best KT88 valves. The amp can also be used with the more basic EL34 valves. As I haven't used the simpler versions, I cannot comment on the differences, but David told me that most people go for the upgraded versions. The amp can be switched between triode and ultralinear modes, with the latter producing the most power. I preferred the ultralinear mode, but I have to admit that I didn't hear much difference between the two. The only other feature on the amp is a tape loop, which I consider completely unnecessary in this day and age. A single selector with a few more inputs would have been preferable, but a real problem this isn't, obviously. More serious is the lack of a preamp output, or power amp input. There's a tape-out, as mentioned, but that has fixed volume. Icon Audio claim the Stereo 40 can be used as a power amp, but this requires the volume control to be set to maximum, which I don't find the most elegant solution, specifically as it will turn itself down again each time you switch it off and on. The amp worked very well during the review period, with a few exceptions. The remote controlled volume didn't always work, for some reason, and the amp had a slight tendency to hum when I used it with a subwoofer. I suspect a ground loop, as my sub is connected to the speaker terminals, and it would probably make more sense to connect it to the pre-out, if the Stereo 40 would have one! There are also some minor quality issues with the phono connectors, some of which didn't allow my interlinks to fully penetrate them. For the rest the Icon Audio Stereo 40 mk3 seems robust and well put together. The remote control is a particularly nice one, made from almost solid aluminium. One thing to remember, if you're not used to valve amps, is the sheer size and weight of this amplifier. It really is enormous, and needs a lot of space above it too, for cooling. Lifting it is almost a two person job, and you need to hold it at the back, as almost all the weight is in the three gigantic transformers. You'll need a big, and strong, rack to accommodate this amp. The first thing that hits you between the eyes when you try the Stereo 40 mk3 for the first time is actually something that isn't there. It is the absence of a big difference with my own Usher R1.5 power amp, driven by my Django preamp, or with any other decent amp for that matter. I was expecting to enter a completely new, magical world, but it all sounded quite familiar. Bass was not as tight and powerful as with the Usher, but that happens to be a particularly strong point with that amp and the Icon Audio was doing a more than adequate job. With some speakers it actually sounds better in the bass, but more about that later. The fact is that the overall balance and presentation are not that different to any other good amp, which is a good thing as it proves that the Stereo 40 is principally a neutral and faithful amplifier that doesn't put its stamp on the music or lets itself be known in any other obvious way. So far, so good. It didn't take me very long, however, to start hearing the more subtle differences. Yes, the bass was a bit warmer, and the midrange was somewhat richer, but what mostly drew my attention was the top end. I've been looking for an amp that can reproduce the upper frequencies without edginess while still being open and articulated, and I've always felt I had to compromise. Until now, that is, as the top end of the Stereo 40 is just about perfect. Clean, detailed, dynamic, open and completely natural and fatigue-free. It wasn't as jaw dropping as the Kondo amps at Definitive Audio, but there was more than a hint of Kondo magic in there. Most importantly, there's nothing soft and veiled about the top end of this amp: it actually is livelier than my Usher amp, while being much cleaner at the same time. And the Usher is supposed to be 'valve-like'! I'll never use that word again, I tell you! When I listened a bit longer I also started to notice the wonderful midrange. This really was completely according to my expectations, except that I hadn't expected it to be so transparent too. There's a beautiful richness there, but it isn't slow or woolly at all, more the opposite really. Lifelike and articulated would be a better description. It makes for great listening, especially with voices and does wonders for the soundstage too. It really enables you to look deep into a recording, but without ever becoming analytic. It also is completely unforced: all that detail is there for you to explore and enjoy, but your attention is still free to wonder around in a recording. The bass is the only region where the Stereo 40 is just average. There's nothing wrong with the bass, and it actually has a nice warmth and fullness about it, but it isn't the last word in control and texture. Still, it isn't bad either, and actually goes rather well with the midrange and the rest of the spectrum. Had I not owned the bass miracle that is the Usher power amp, I would probably not have noticed any shortcomings in this area at all. All of this is when I used it with 'normal' speakers, like my Dynaudio Contour 1.8 MKII's or the PMC transmission lines that were on review. The real surprise came when I started using the Icon Audio amp with the SEAS Exotic speakers. These have a tendency to sound a bit stark and overly revealing with the Usher, but turned into luscious music machines with the Stereo 40. If I still had any doubts about the qualities of the Exotics, they completely disappeared when used with this valve amp. And if I still doubted the superiority of valve amplification, I became a complete convert with this combination. It makes sense, as both basically represent technologies from the 1950's. When I was young we used to have a valve radio that you couldn't call hifi by any means, but that still sounded wonderful. The Stereo 40 with the Exotics has the same luscious, seductive sound, but accompanied by a full hifi pedigree. I didn't think it was possible. Still, the biggest surprise remained that wonderful, lifelike dynamic expression that I never expected, at least not before I'd experienced the Kondo amps. There's something about live music that anyone can recognise, even from around the corner. It has to do with dynamics, and no audio system can completely reproduce it, but our ears immediately recognise it. It is this dynamic envelope that the Icon Audio amp reproduces better than any transistor amp I've ever had in my system. It feels unrestricted and alive. The fact that is combined with silky sweetness and rich tonality makes this amp irresistible, at least for me. These things are more or less mutually exclusive in a transistor amp, but here they happily go together, as if it's the easiest thing in the world. The more I listen to the Stereo 40, the more I like it. There's really nothing here that disappoints, and so much to impress. For me, the main surprises are the dynamic quality of this amp and the top end. Even though it isn't very powerful, it has the ability to really bring out the energy and life of a musical performance. It makes most transistor amp I've tried sound either edgy or blunted. Its main strength, however, is that capability of making anything, and I really mean anything, sound that much better. It simply loves music, and makes you enjoy it more, whatever your taste. And it's the combination of these two properties, the engaging dynamics and the rich musicality, that really defines this amp. No cheap tricks here: the musicality isn't achieved through woolly softness, neither is the involving liveliness accompanied by tendencies towards aggressiveness. This is all real and honest, with the only price to pay some limitations in maximum power and, perhaps, the ability to drive difficult speakers. 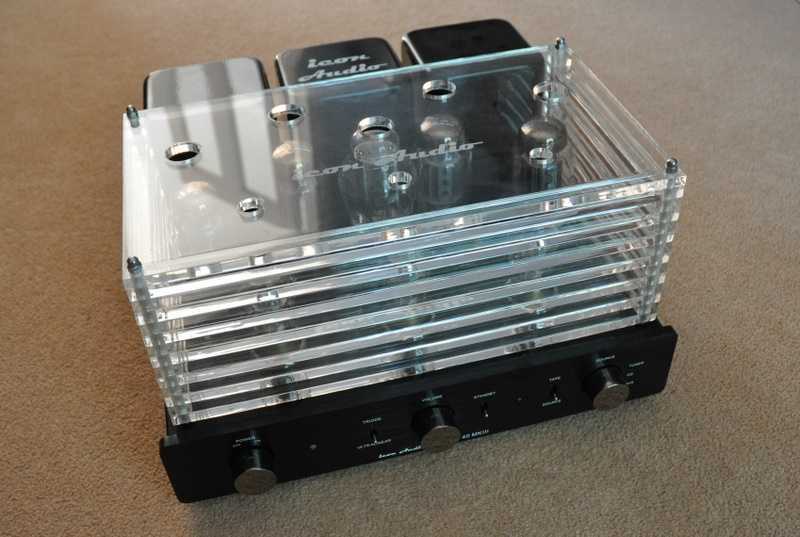 In the end, this is the best sounding amplifier I have had in my system to date, and I've had a few. Very highly recommended.